Users will soon be able to view, delete and control how their data is shared more easily. Ahead of the EU's upcoming General Data Protection Regulation (GDPR), Facebook has announced updates to its terms and data policy that will roll out first in Europe and then to the rest of the world. The social network has brought together employees from its product, engineering, legal, policy, design and research teams to comply with the upcoming regulation and offer all of its users more choices regarding their privacy while using the service. Facebook will soon ask users to review how it shows ads based on data from its partners and they will be able to decide whether or not they want to be served ads that use this data. When it comes to user profiles, the company will ask users whether they want to continue sharing personal information and inform them that sharing this information online is completely optional. 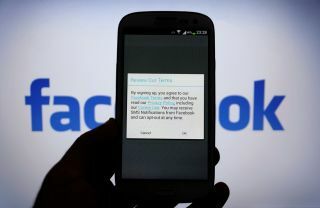 Facebook will also make it easier for people to delete their information if they choose to no longer share it. The company will also allow EU and Canadian citizens the option to use face recognition to better protect their privacy. The feature helps detect when others are using their image as a profile picture and allows Facebook to suggest friends users may want to tag in photos and videos. The new Settings and Privacy Shortcuts announced by the company last month will also soon be available on the social network. These tools will allow users to see their data, delete it and easily download and export it. While these tools are available globally, the company has designed them to comply with GDPR as well. Facebook is also rolling out new features for young people as under the regulation, pepole between the ages of 13 and 15 will need the permission of a parent or guardian to enable some of the site's feature in some EU countries. Face recognition will be turned off by default for teens and they are not permitted to post publicly on the site. Following the recent Cambridge Analytica scandal, Facebook has a lot of catching up to do in terms of privacy settings and data sharing though GDPR could present the perfect opportunity for the social network to re-evaluate itself and provide better privacy protections to all of its users.